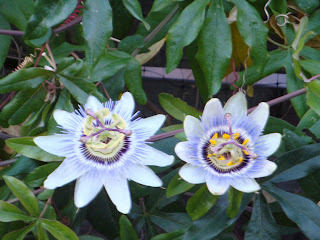 passion fruit flower...wonder I can take a clipping, if it would survive. 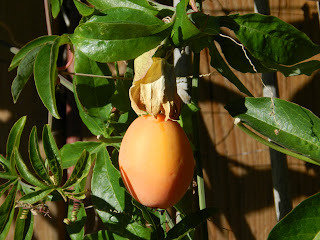 Love the colors, shapes and the fruit of these plants. I never have seen one in person, up close and personal before, what a treat. I wonder how the fruit tastes and when they are ripe. I am going to do some research to see how or if I take a clipping how to keep it going. Want to go back and get some better photos in better light as well. 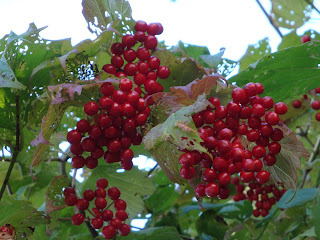 Not sure what is happening with this tree but I really like the bright red and the leaves make for an interesting photo, would like to go back soon and see what it looks like now or if it is even still alive. 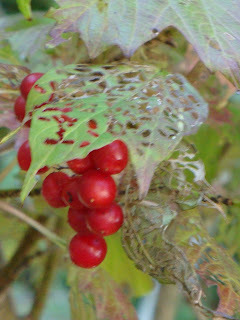 Not a very good photo, but it is a little closer and you can see the holes in the leaf better, looks like lace. 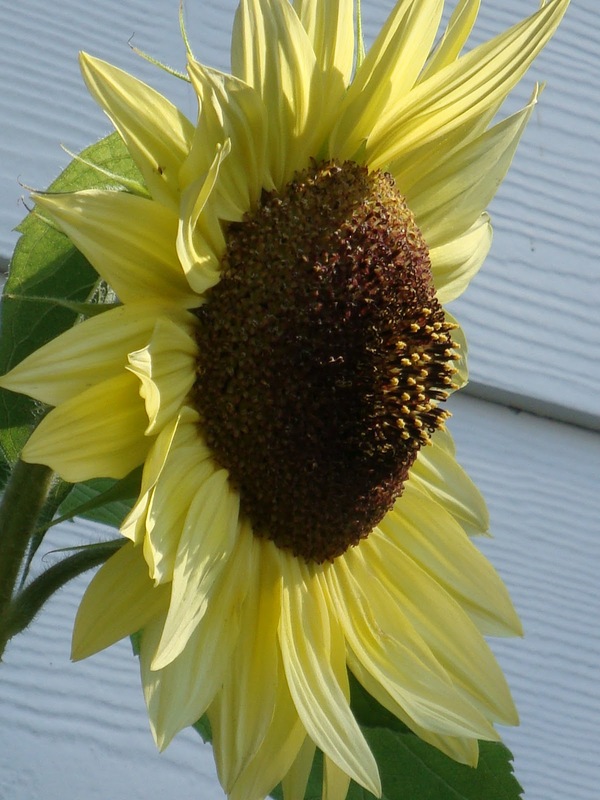 Sunflowers are one of my favorite flowers, this one is such a light yellow, I liked that is was different. Took a variety of photos for drawing/painting reference. got a # of interesting painting, drawing, pen and ink books as well as DVD's from my local library. Not only watercolor but other painting mediums as well. Been scanning a few pages that I really enjoy and would like to refer to again as I try the techniques learnt. Have always liked these watercolor paintings that incorporate ink. 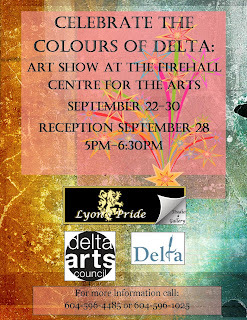 Members of the Delta Arts Council, as well as Lyons Pride Studio along with the Corporation of Delta invite you to attend the reception and show. "The Colours of Delta" show runs from September 22– 30th @ The Firehall Arts Centre which is on 84th Ave at 114th street. A reception will be held September 28th from 5:30-7 pm. The art work will be on display throughout the Corporation of Delta’s Open House on September 22 and 23rd. And during the DAC events Open Mic, (Sept 28) and Musical Event “August in September” (Sept. 29). Hope you can come by and enjoy the Colours of Delta. woot!! this is a test post. 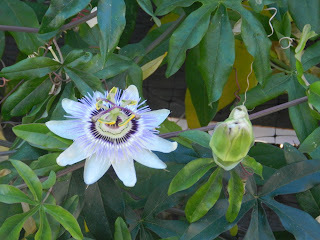 Thanks to Rain Longson, my web master and friend for helping to get my website up. thanks to Rain Longson my web master and friend.